My mom and I cuddled into our couch with a cup of tea on my end and a glass of wine on her end, to watch Michael Douglas and Matt Damon in Behind the Candelabra about Liberace. 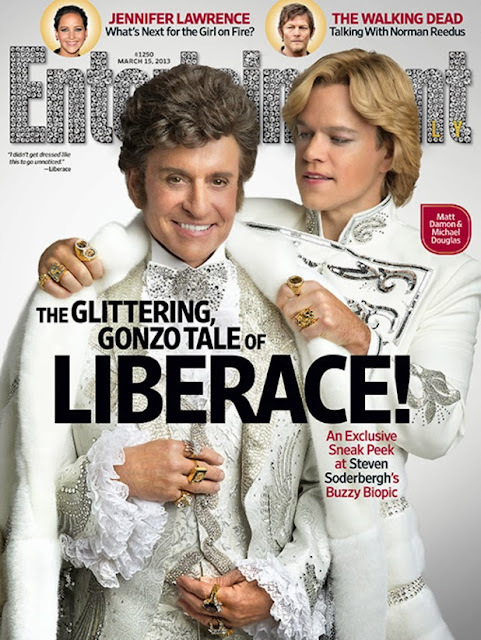 I didn't know very much about Liberace, who was he and why was he so damn fabulous?! 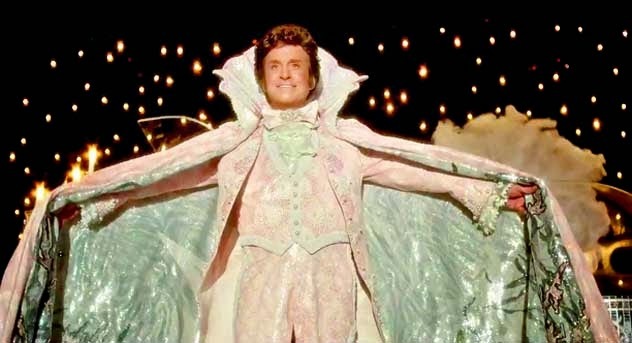 Basically during the 50s-70s he was the highest paid "entertainer" in the world and he was known for his extreme flamboyance and...crazy sparkly things. So going into this movie I wasn't sure what to expect, though I had seen Michael Douglas' on the Graham Norton Show and that was what got me into seeing the movie. And I have to say, it was SO good! I don't want to ruin it by sharing too much, but I would really recommend it, the flare and luxury that these men lived in is so interesting to see, and it paints a better picture of this man that I didn't know very much about. I think its important also to bring up homosexuality in Hollywood movies, if people don't grow up seeing all kinds of love around them then it will never be as "normal" as it should be. It's a tragic love story but isn't too heavy either, a definite must see! Take a look at the trailer to see for yourself ! I mean just look at those rings? Bigger than my hands!